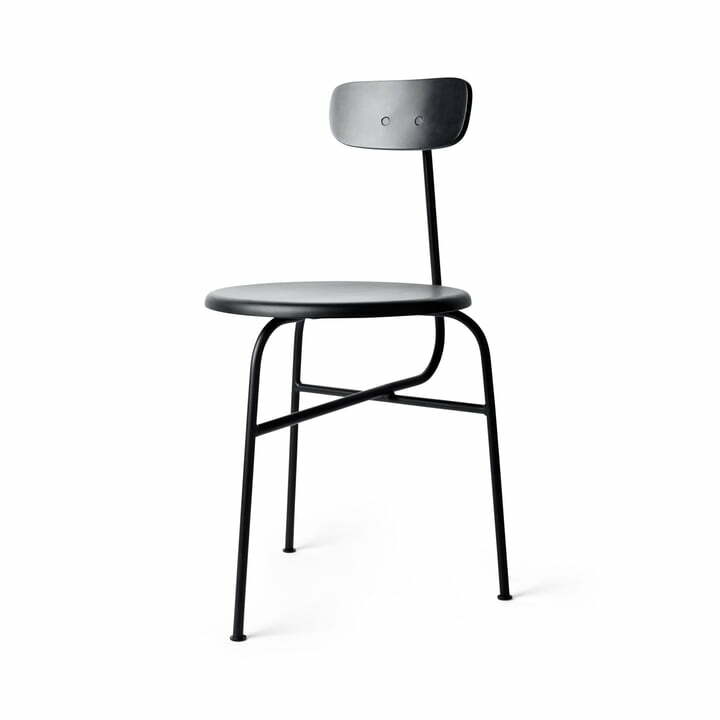 The design team Afternoon made a chair without any unnecessary details, since they are big enthusiasts of the Bauhaus school. Material and shape are reduced to a minimum – The Afternoon chair emerged: a chair with three legs and one backrest which is connected to the base on one only point. 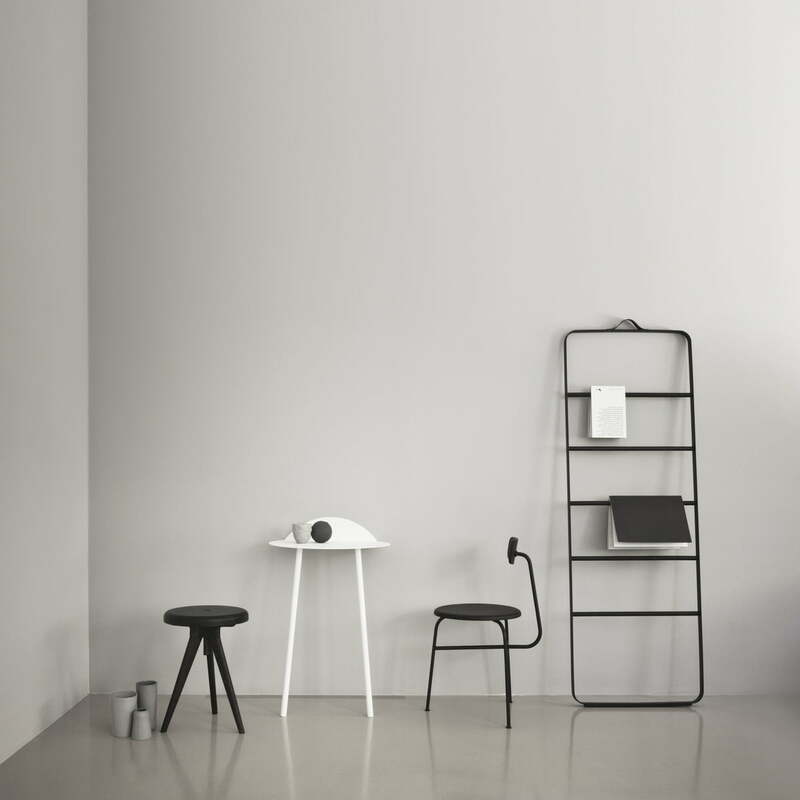 Afternoon achieved in reducing the material to a minimum for the maximum of aesthetics. 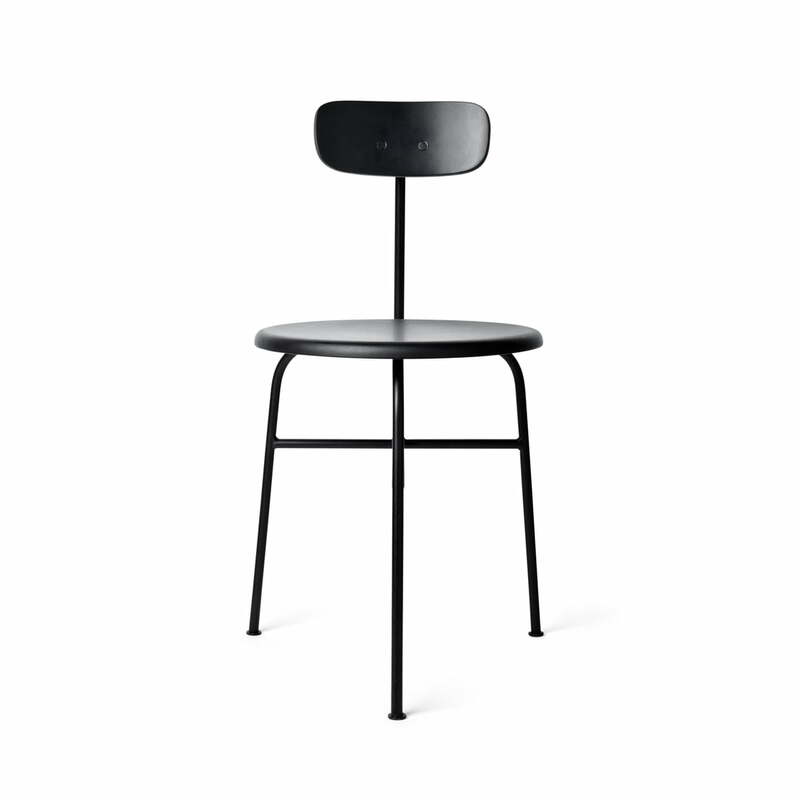 The comfort of the Menu Afternoon chair isn’t impaired by the simple design. 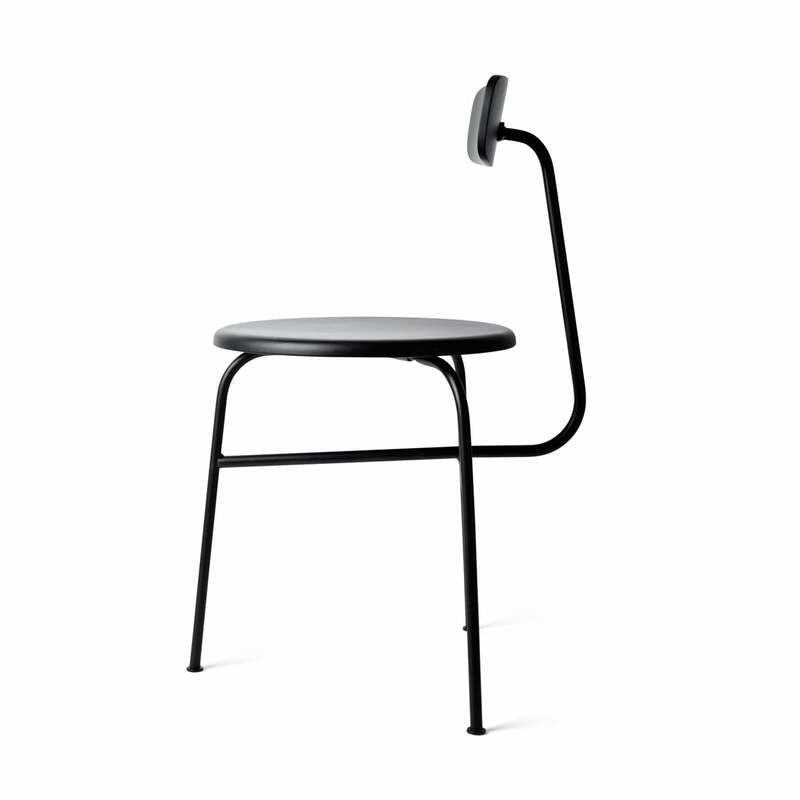 The stability and quality are granted by the powder coated steel material and the high class wood the Afternoon chair is made of. 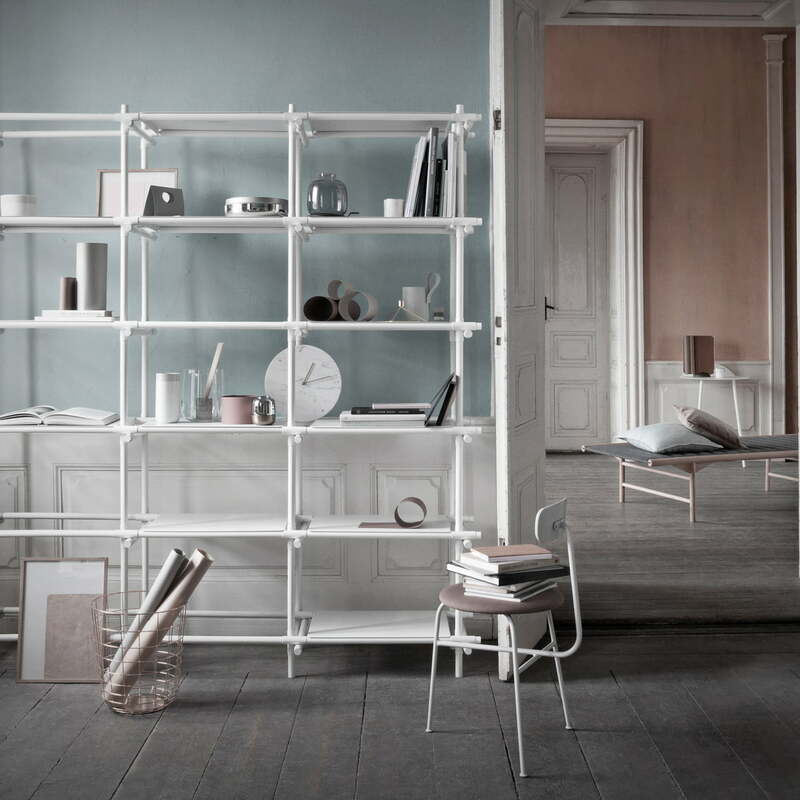 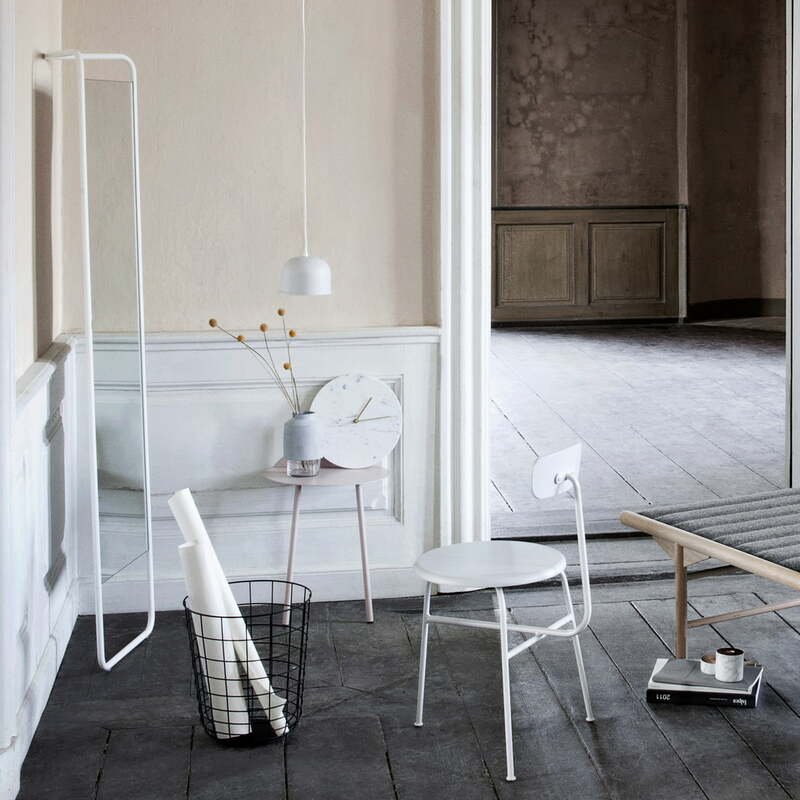 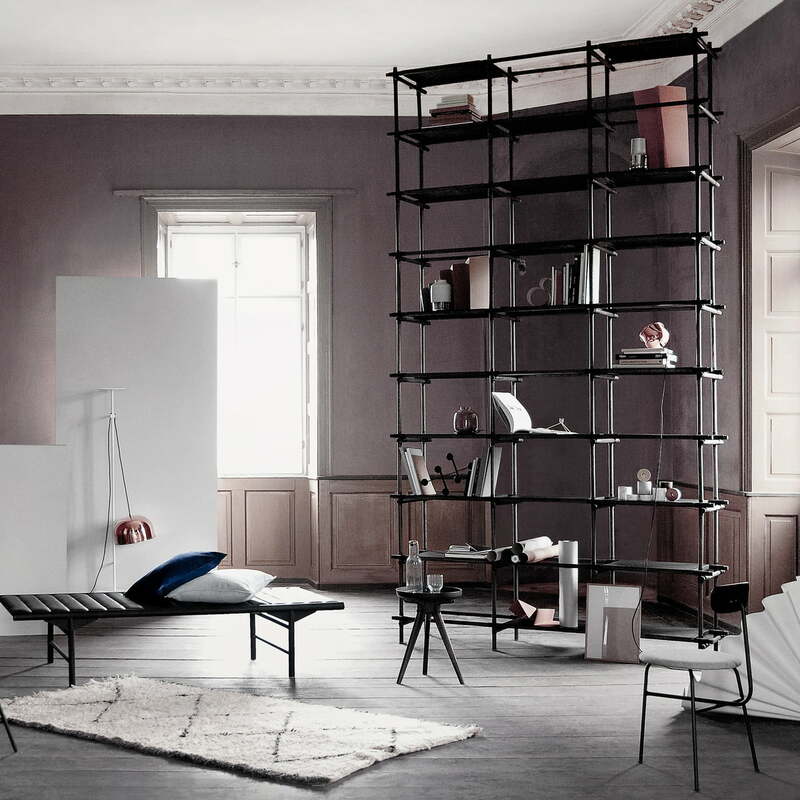 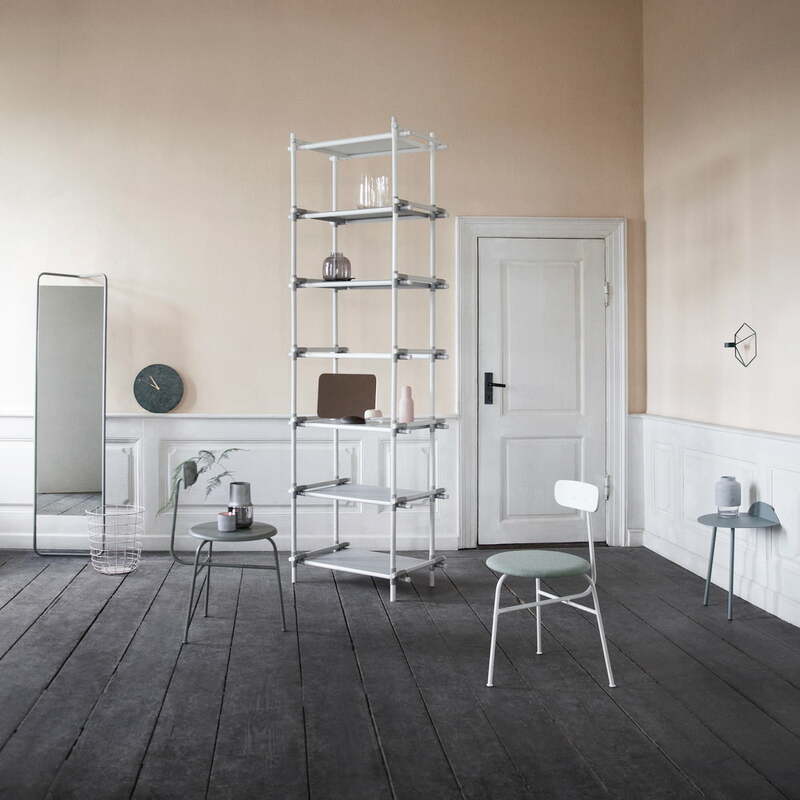 Furniture in the minimalistic, Scandinavian design such as the Towel Ladder, Flip Around, or the Afteroom Chair by Menu. 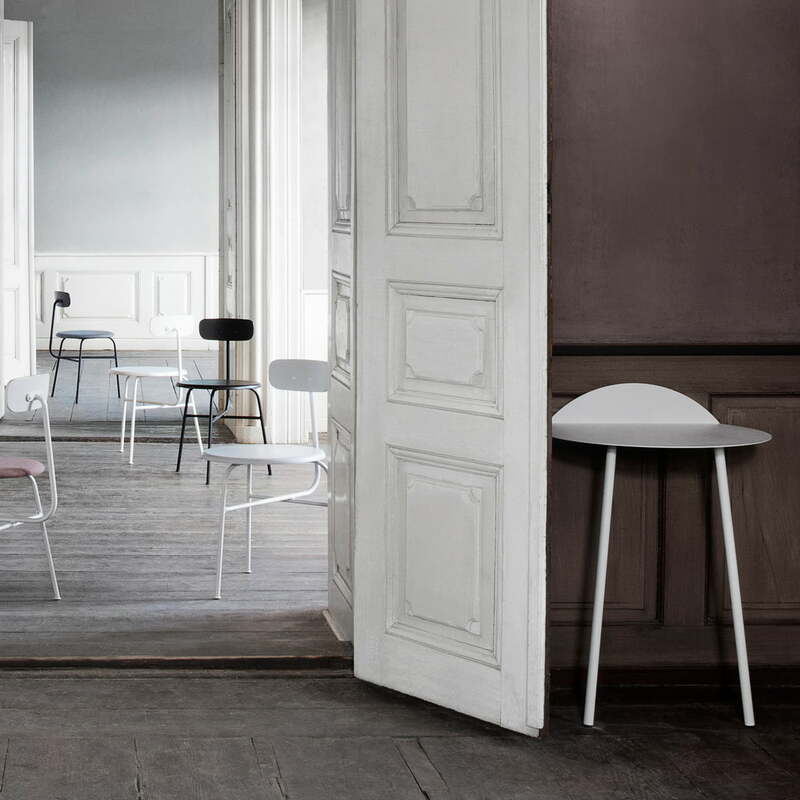 Purist, timeless design that can easily be combined. 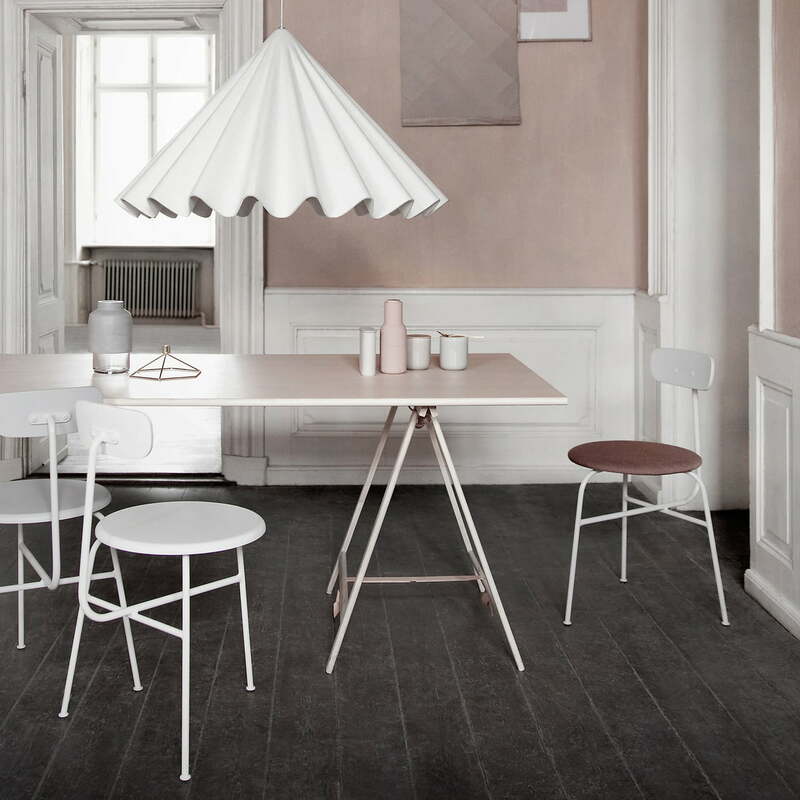 The Standard pendant lamp manufactured by Menu provides soft light in grey rooms. 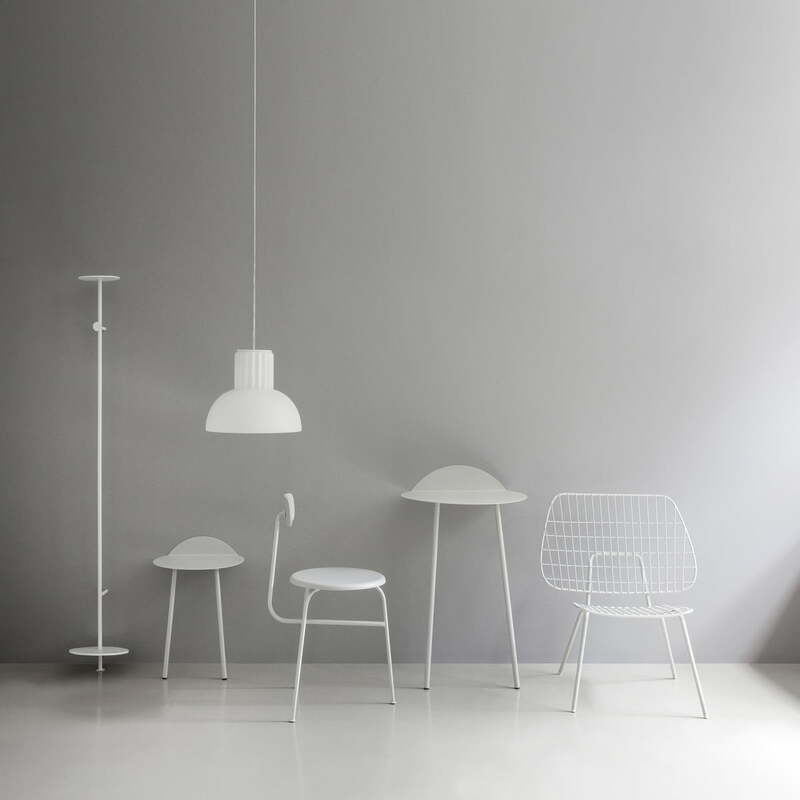 The hanging lamp made of opal glass is beautifully combined with white furniture.